Tumors surrounding the optic nerve prove particularly difficult to treat. After some research, Dr. Finger developed a special technique to treat these tumors. A disc-shaped radiation implant known as the “Finger’s slotted plaque” can accommodate the optic nerve. 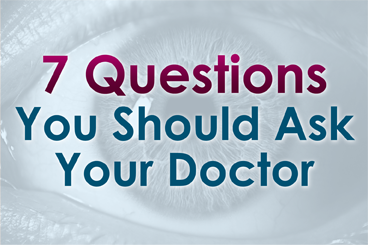 Don’t forget to ask your doctors about their results. We are ready to report our results treating your type of tumor. Interested in preserving your vision? Dr. Finger also discovered a widely-used cancer drug that can help preserve vision in patients undergoing eye cancer treatment. Dr. Finger was the first eye cancer specialist to discover that these anti-VEGF drugs could suppress radiation retinal damage and preserve vision. For more details about these revolutionary treatment advances, you can read Dr. Finger’s entire interview with Ivanhoe HERE. Keeping vision with eye cancer should be the goal with any cancer treatment. Finger’s slotted plaque sounds like a real innovation since it allowed people to keep their vision. If I ever had aye cancer I would want to keep my vision.